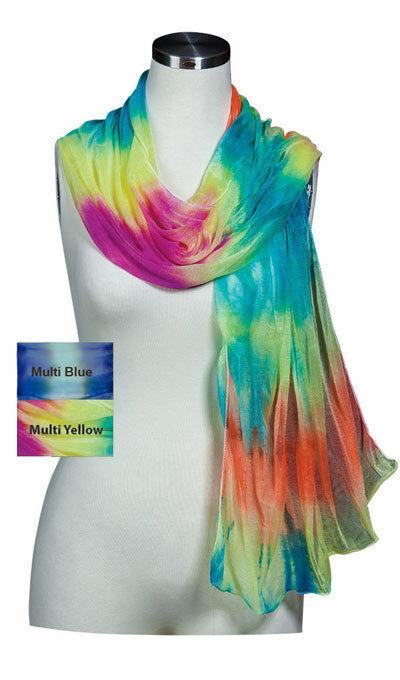 Put a little colour in your day with this beautifully handcrafted tied-dyed scarf. Each pattern is unique and created to add extra dimension to the scarf. Polyester. Machine wash. Imported. 64"l.